Above is the video for the song “Ship of Fools” by World Party. The song is from 1987. If you’re old enough, you likely recall the song and the video. The song is about economic and environmental exploitation. I understand not wanting to set sail with a ship of fools. It is often hard to understand why the world is as it is. And we may well pay tomorrow. Our current recession seems to be a form of payment for overconsumption. Though it is really the very poor that pay in ways we never see or give much thought about. That said, I’m willing to to share the ride with a ship of fools. You’re born, you do your best, and you take your chances. We’re all connected to each other and I accept that fact. I’m not resigned or fatalistic. I feel I try in life. If I do my best but go down with the ship—I have at least done my best. I’d rather sail with a ship of fools than sail alone. Anyway—What if I’m the fool and the rest of you are doing me a favor by letting me stay on the ship? Please click here to read about World Party’s Karl Wallinger. Below is a list of economic classes in England back in 1709 as described by Daniel Defoe (above). It seems things were at least not fully different 300 years ago in England from what we experience in the U.S. today. Though the so-called middle sort and the working trades might feel they don’t have it as well as Defoe suggests. Relative to the rest of the world however, such folks for the most part are doing well even in this recession. Where do I fall on this list? Due to my blogging income, I’m part of the great who live profusely. 1—The great, who live profusely. 2—The rich, who live plentifully. 3— The middle sort, who live well. 4—The working trades, who labour hard, but feel no want. 6—The poor, that fare hard. 7—The miserable, that really pinch and suffer want. I can’t claim to know much about Daniel Defoe except that he wrote Robinson Crusoe. 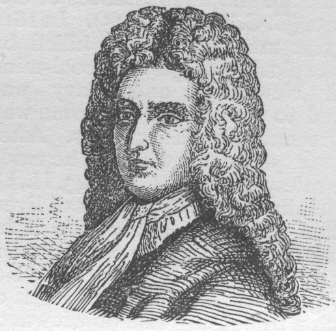 Defoe was born at some point between 1659 and 1661 and died in 1731. It appears that he had an eventful life and you can read about it by clicking this link. It’s Wikipedia and I’m hesitant to send people to Wikipedia. But I poked around and it appeared to be the best link about Defoe’s life. Below is the weekly Texas Progressive Alliance Round-up. Above is Santa Elena Canyon with the Rio Grande running through the canyon. The picture was taken by one Daniel Schwen. 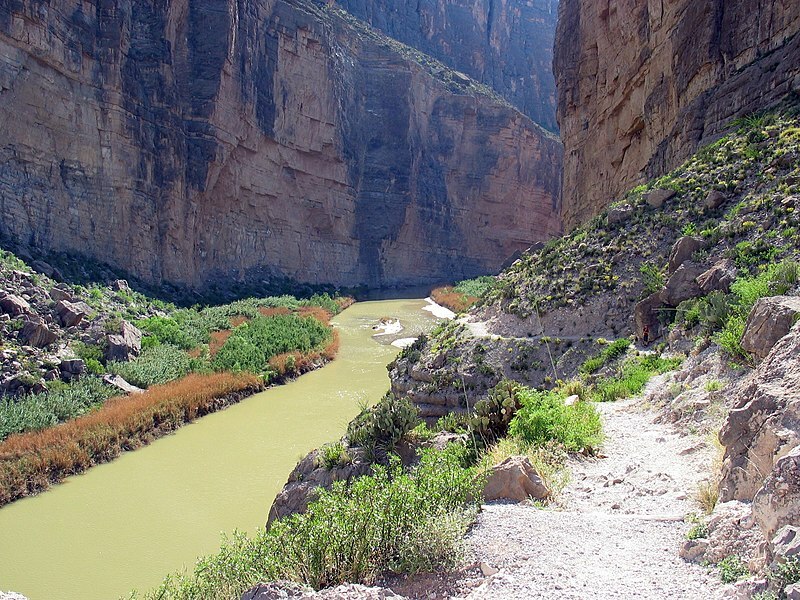 Santa Elena Canyon is part of Big Bend National Park in Texas. It would be nice to see a canyon and a river like that. I’ve never seen anything like that in person except for the time I passed through the Rocky Mountains on a Greyhound Bus. WhosPlayin only had Random Thoughtsthis week, but guest blogger Calvin Tillman — mayor of Dish, TX — weighed in with his thoughts on the Stacked Deck being dealt by the Texas Railroad Commission and their bias towards the interests of the oil and gas companies. At Left of College Station, Teddy reports on the recent increase in violence, the withdrawal of troops, and the possibility of what could happen in the war that has vanished from public debate: the fading war in Iraq. CouldBeTrue of South Texas Chisme says the Voter ID debacle demonstrates the differences between Republicans and Democrats. Off the Kuff takes a look at a battle between cities and some legislators over red light cameras. WCNews at Eye On Williamsonposts on the great job his Democratic state representative in HD-52 is doing this session in Diana Maldonado’s Legislation. As always in the malignancy known as the Texas legislature, it is proving difficult to pass a bill that would expand health insurance for kids. In Texas this is known as the CHIP program. Fights about health insurance for kids are a mainstay in the Texas legislature. 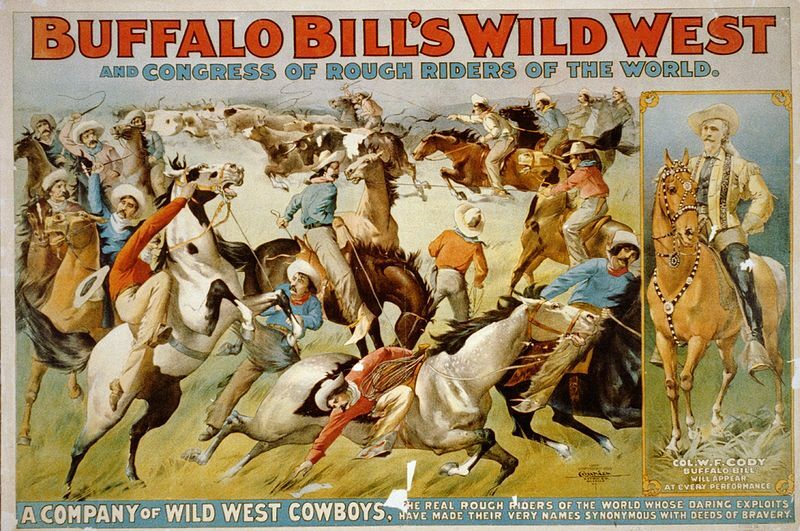 ( Above–The legislative process in Texas. It starts with nasty voters who have suppressed any decent thoughts. After the mutations of party primaries, the general election and committee assignments, the process results in the legislative session. You can read about the latest go-round on kid’s health insurance in the Houston Chronicle. Governor Rick Perry, who has said that Texas might wish to consider leaving the union, says that he would in any case veto an expansion of children’s heath care if it came to his desk. What can I add? Texas is a cold-hearted mess and many people seem content with that fact. I’m glad to report that this upcoming August 15 I’ll be the master of ceremonies at Newport, Kentucky’s Southgate House for America’s biggest punk rock blast of 2009. Newport is just across the Ohio River from Cincinnati. You’d think I’d be content with being the top blogger in Texas and with being a member of the Academy of Political Science. The event is a release party for the CD of last year’s Jockey Club reunion concert at the Southgate House. The Jockey Club was the greatest punk rock venue of the 1980’s. This concert is being put on by Cincinnati-based publisher Aurore Press. Aurore Press is the forum for dissenting views in Cincinnati. Please click the link and see what’s going on at Aurore Press. Below are the details as they stand at the moment. You can’t have a CD release without a party and Aurore Press knows this so with the help of The Southgate House, we’re putting on another Jockey Club inspired shindig to benefit our friend and Cincy punk legend “Handsome” Clem Carpenter and his family. Clem has had a few rough years as of late and his friends want to thank him for everything he’s done over the years with a benefit/roast in his honor! The show on August 15, will feature: Gang Green, SS-20, Libertines US, and Human Zoo. We’re working on one more JC era band to top off the bill and we’ll let everyone know when that comes together–so, 5 bands in all coming together again for a night for the scrapbooks hosted by “Hockeypunk” Neil Aquino, so come early and stay late, get yer CD (proceeds from the CD will also be donated to the Carpenter family) and have a ball! I hope to see you there on August 15. 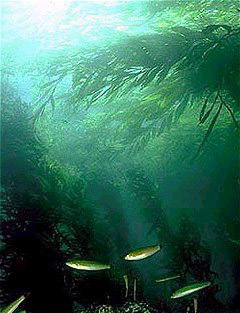 The TDPW has more information on the golden alga than you could ever imagine. There are different types of harmful algal blooms. The Red Tide is the most well-known of these blooms. Here is information on algae. 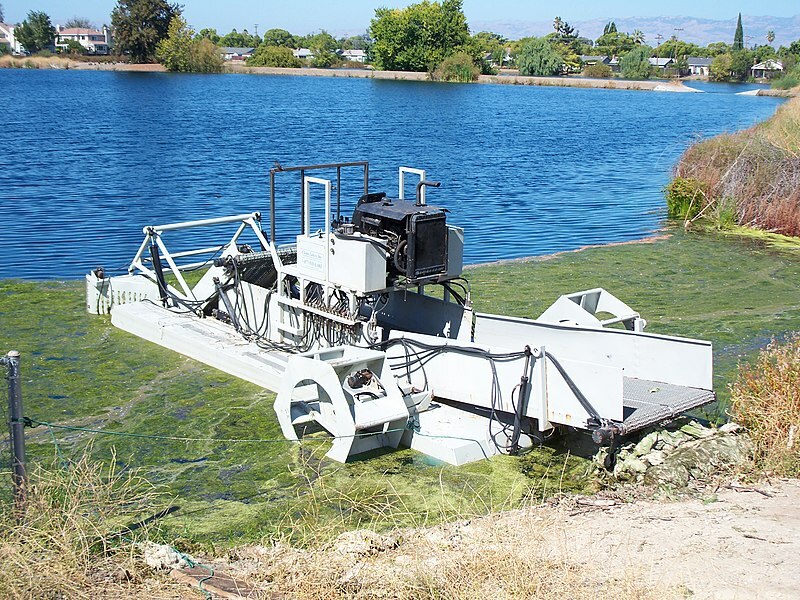 Algae can be our friend or it can kill fish and make us sick. I vote for friendship with algae! Political columnist E.J. Dionne, who gets it right often enough, writes that President Obama is creating a political coalition inclusive of all with the exception of the far right. I think Mr. Dionne misses something here that is picked by Bob Herbert of the New York Times. It’s possible that President Obama cares about the plight of the most poor. Yet I’m yet to be convinced he cares enough to do anything about that plight or to take real political risks for the poor. Addressing the needs of the truly down-and-out would require asking some basic questions about our economic system. It would also require asking questions about our Democratic party which uses the votes of the poor to gain office to extent those votes are needed, but often does little to offer hope to the poor the rest of the time. President Obama is off to a good start in many respects, but there remains room for improvement. Taking political risks for the good of all Americans would be part of that needed improvement. Please click here for an article from The Nation magazine about the need for a program of a full employment in our nation. A new study reports that only 58.5 % of Houston-area high school freshmen graduate four years later. Here is the Houston Chronicle story about the study. This report tells me you can do anything to people in and around and Houston and get away with it. Can you imagine people tolerate this? Or take it as normal? These type numbers exist in cities and rural areas across the country. You’d might as well put people in camps or brand them with irons. A poor city neighborhood in this society is a camp in any case. One that Republicans ignore all the time and Democrats often only notice at election time. You can’t get anywhere in this country without a high school degree. You can’t even be sure of your prospects anymore with a college degree. People should be demanding action. People should have been doing so a long time ago because these bad education numbers are longstanding. Our Harris County sheriff, Democrat Adrian Garcia, wants Harris County to build a new jail. Yeah–Another jail. That will solve our ills. Please click here for my post on the subject of why people believe conspiracy theories. I assert people often hold such views because nothing is so crazy or brutal that it can’t be true. It seems plausible enough that we as a community in Houston would be content enough with large numbers of our poor just dying off. How would it be so different from how we treat folks currently? Below is analysis and a transcript of upcoming debate over the appointment of Judge Sonia Sotomayor for the Supreme Court. She’ll legislate from the bench. She’s an activist judge. She’s a liberal. President Obama has said he’s looking for a mix of real-life experience and knowledge of the law for the Supreme Court. It’s seems that this is just what he’s found. I’m not saying you should not read about Judge Sotomayor. You should. Here’s a good story to get started. Here’s how Business Week magazine sees her record on business issues. What I’m saying is that instead of following the moronic debate that will end with Judge Sotomayor being confirmed, one could learn about the history of the court and gain some context beyond the same old junk. Here’s the Supreme Court web home. Here’s a review of A People’s History of the Supreme Court by Peter Irons. Here’s a review of The U.S. Supreme Court–The Pursuit of Justice edited by Christopher Tomlins. 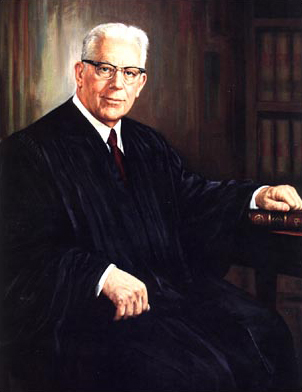 Here’s a link to learn about some important cases in Supreme Court history. Here’s a list of all 110 Supreme Court Justices to date. You won’t learn this stuff in school, on CNN or with a Twitter message. You’ll have to learn it on your own. In many respects, the best sources remain books, a good daily newspaper and your own hard work. Green Tea With Soy Milk—Excellent! I’ve been drinking green tea with a measure of steamed soy milk. A friend told me that this is what she drinks and that it’s an excellent drink. I ask the drink-fixer at the Starbucks or wherever to please make it with three-fourths tea and one-fourth soy. Every time I drink this drink I feel energized and feel ready to take on the next damned hassle life blasts my way. Green tea is said to be good for you. Here is an article from the University of Maryland Medical Center that discusses the pros and cons of green tea. The pros appear to outweigh the cons. Here are some pros and cons of soy milk. Again, the pros appear to outweigh the cons. Houston Police officer Lloyd Morrison was hit by two separate drunk drivers Saturday morning while stopped to address a traffic accident. This happened at 3:30 AM on I-45. Here’s the Houston Chronicle story. Above–Houston’s highways are like the Wild West in the modern day. The first drunk driver clipped the officer’s car. Then, another drunk driver hit the car and caused officer Morrison to be pinned against a fire truck. Officer Morrison is in critical condition, but appears to have a hopeful prognosis. I often have to drive on Highway 290 around midnight on Friday and Saturday evenings. I’d say I see a driver who seems drunk at least half the time. I’ve called 911 at least three times about swerving drivers. I hope this incident leads to more enforcement on our roads by both HPD and the Harris County Sheriff. Our highways are full of drunks and crazies. Law-abiding motorists need help. It’s short post week at Texas Liberal. No post will be more than 150 words. Because I’ve got things to do and thoughts to think. Short post week begins Tuesday, May 26 and ends Friday, May 30. Short posts get a short week. 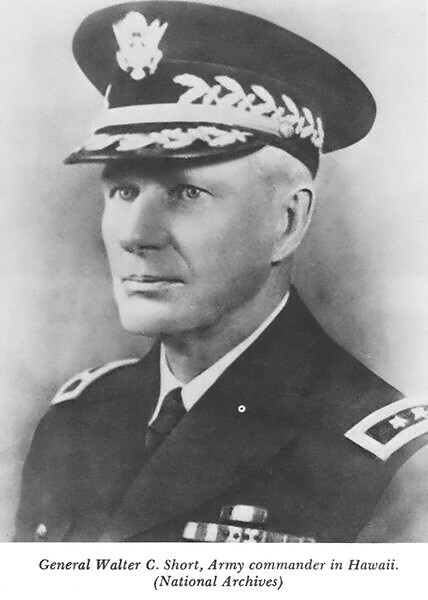 General Walter Short (above) was in charge of the defense of U.S. military installations in Hawaii at the time of Pearl Harbor. His record in that capacity is still debated. Still, who would want to be recalled for having that job at that time? 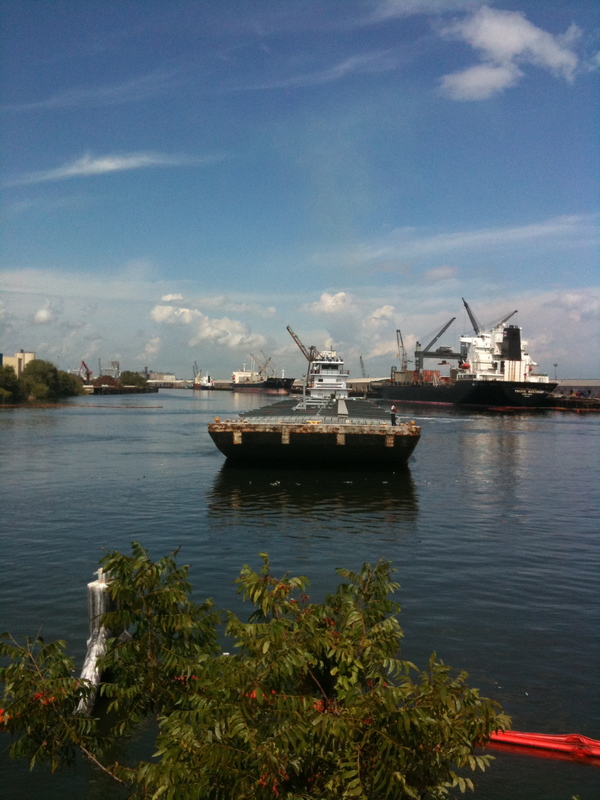 Here is the link to the U.S. Navy history of Peal Harbor. 5/27/09—I’ve not done such a good job this week keeping to my short post pledge. Please be mindful of the those who have fought in our wars. Please also be aware of those who have worked for peace. Let’s work for the day when there are no more wars. Such a time is possible. 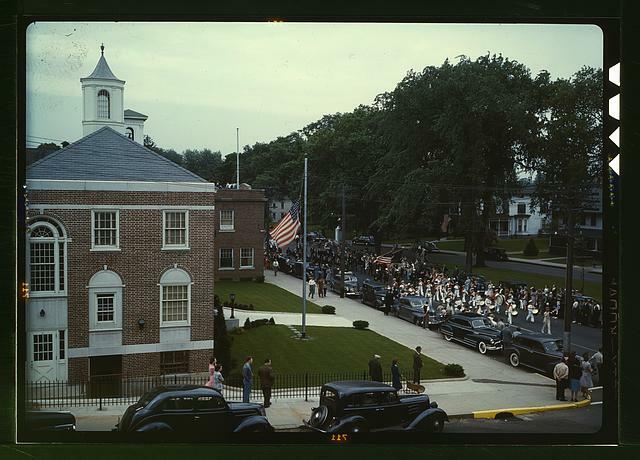 Above is a Memorial Day parade in Southington, Connecticut in 1942. Here is information about the picture. The picture was taken by Fenno Jacobs. The small crowd is due to the fact that town’s war factories did not close for the parade. Here is a list of Memorial Day events in the Houston area as collected by the City of Houston. Here is the link to the Houston National Cemetery. There is a Memorial Day event at the cemetery—Here are the details. There is a Memorial Day event at Seawolf Park on Pelican Island near Galveston Island. Here is the link to Arlington National Cemetery. Here is the link to Southington, Connecticut. Southington does not list a Memorial Day parade on its list of town events for May. Here are links about the history of Memorial Day and about the men and women who served and died in the service of others. People talk a lot about respect for veterans. Just like they talk a lot about family and God and all that. I’m wary that anything people talk about at length in our society is really anything that is strongly believed. It’s not that people are lying when they say they care a lot about veterans and family and God. It’s just that they talk and talk and yet people’s actions don’t meet up with the words. I look at people and want to feel that they have the substance and quality to hold beliefs in a serious and thoughtful manner. I have to admit though that in many cases I can’t get myself to that point about folks. In fact, when I hear of a view that is claimed to be deeply held, I often wonder what misdeed or neglect is being covered for with the assertion of care and sentiment. I think it is unlikely that we as a society care much about veterans, or that most people will take time on Memorial Day to think about the people who have died in our wars. If you are the person who called me earlier this evening from the Harris County, Texas jail asking if I was able to accept the charges on a collect call—I’m sorry that I was not able to accept such charges. I did give taking the call some thought. The recorded operator said it would cost $3.60 to accept the call. The recording did not say who was calling. All it said was that it was a collect call from the Harris County Jail. I asked myself who I knew that might be in the county jail. While I can think of people I know that should be in jail, or that I wish were in jail, I don’t feel I know anyone in jail at the moment. I was somewhat curious about who was on the other end of the call. Maybe it was a person who wished to discuss American history with me this evening. Or a person pondering the nature of redemption after the committing of misdeeds. In the end however, my guess was that I was better off not taking the call. Here are rules and procedures regarding inmates in our Harris County Jail. Here is the link to County Sheriff Adrian Garcia. Sheriff Garcia is a Democrat elected in 2008 to replace a Republican Sheriff. Republicans are on the run here in Harris County. Harris County is the nation’s third most populous county. Over 3.5 million people live in Harris County. Republicans think they can run minority-bashing anti-urban campaigns in a majority-minority urban county. That plan did not work so well for Republicans in 2008. Inmates can place collect calls to phone numbers where collect calling is not restricted. This is the most common method of placing calls from the facility. However, there are some situations where collect calls are restricted… e.g.